Different strains require different amounts of space to be fruitful. Sativas, for example (which hale from warmer regions near the equator (require ample space as they grow and stretch as high as eight feet or more under the right conditions. Alternatively, indica strains (which originated in the Hindu Kush Mountains) have adapted to shorter grow periods by maturing quicker at a smaller size. Indica buds tend to be more dense than sativas (because they don’t stretch due to excessive UV rays) and therefore often produce more weight despite a smaller size. Taking this into consideration, those with smaller grow spaces should opt for indica strains which consume smaller spaces and complete the grow cycle more quickly. This not only allows for a more bountiful harvest because the plant will not be crowded, but allows more frequent harvests, as well. Though any strain can technically be grown indoors, indica or ruderalis-based stains tend to fair better indoors, especially for novice growers or growers with limited time on their hands. That’s because indicas tend to be more hardy and able to withstand environmental factors like drops in temperature or stress due to pests and contaminants. Having said that, sativa strains are more resilient to high temperatures making them ideal for grow spaces that may experience extreme heat which is especially likely when using High Intensity Discharge (HID) lights. Though these lights (both high pressure sodium and metal halide) produce much more heat and therefore require additional components like ballasts and cooling systems, the light penetration is much better and will produce denser buds – if they don’t burn up in the process. Because a grow environment can have a profound impact on a plant’s final harvest, understanding your grow space and plant needs will play a big role in determining the quality of your harvest. For example, indica strains are smaller and better able to withstand environmental stress, but sativas are better able to handle the high heat of HID lights, so your best bet is to find a strain which falls on the indica/sativa spectrum in an area best suited for your space. Perhaps the most important aspect to consider when choosing the best marijuana strains for an indoor grow is understanding what kind of medicinal qualities you hope to acquire. Obviously, if you don’t like sleepy, body highs, indicas may not be the best option for you despite their ease of growth. If you prefer sativas with their up-beat, cerebral highs, you can still grow them successfully with proper care. Having said that, there are some strains that are simply easier to grow indoors. For those looking to grow marijuana easily indoors, we suggest the following strains. Bodega Bubblegum: This one is great for indoor grows because of its fast grow cycle and plentiful harvest. It’s both unique and easy to grow, and is a pleasure to consume given it’s sweet, bubblegum flavor and mellow high. Bandit Breath is a favorite among our team thanks to its awesome potency and relatively large yield for its small size. Flavor varies by the phenotype of this one but it’s always pungent and a pleasure to consume. Chinook Haze: This sativa-dominant hybrid makes the list because of its relatively small size, quick grow time, and amazing flavor. Hailing from the Colorado favorite, Tangerine Haze, this pungent, citrus-flavored strain offers an uplifting high from a high-yielding plant. Full Moon Fever: Full Moon Fever is the child of Durban Poison, one of the most popular cannabis strains of all time. The plant itself is not too small or too large but still produces dense, trichrome-packed buds as though it were a pure indica. The classic Durban flavors of anise and black licorice lead the way toward a powerful head high with ample motivation to back it up. If you’re lucky enough to grow your own marijuana, we salute you. Make sure it’s a success by choosing the best strains for indoor grow rooms. Do you have a favorite strain? We’d love to hear about it. This entry was posted in News and tagged cannabis, cannabis seeds, sativas. My Favorite strains created by GPS…. Copper Chem ( might be the best ever) & Cookies and Chem! Those two ladies are very special! I can’t wait to pop more of your gear! Thanks GU and crew! Can not wait to try your gear. 2 Cookie Wreck And 2 packs Do si Dos. Just picked up Copper Chem and I am excited to find a couple gems in this pack! I have personally had the privilege to grow original Chemdawg and let me tell you it was beyond special! To the point that my wife still talks about it to this day and that was years ago. Find the strain that best suits you and give it a shot, you just might find one that has all you that you want and stays within your grow space. Got Sundance Kid as well, hoping for that Sherbert pheno! Living in a legal state has allowed me to grow quite a few clone only elites and now I will find my own elites thanks to Greenpoint. Good luck to all and happy growing! Thanks Gu! How is the copper Chem it’s on my lost to get just waiting for a sale! Are their many phenos and which taste the best? The copper chem is gorgeous I have a handful of girls and the #10 cut all couple weeks into flowering and cant wait to see what comes of em. This is your one stop shop for all your seed needs! I am so thrilled my buddy introduced me to this website. I have been purchasing steady on here for a couple years now and am only purchasing more as time passes and the grows go out. Nowhere else can you go online and fine this kind of quality and this kind of selection at the lowest prices possible out there. If the prices still are to high for you come back when a reverse auction is up and get it for way under it’s actual value. Gu is top notch with customer service and keeping this site run right. You won’t regret a single purchase ever! What did you like about the Tomahawk? I was thinking of getting that one at the next sale. If I had the space I would like to try some breeding of my own as I feel that there are some unique combos out there I haven’t seen anyone try yet. Growing herb can be extremely rewarding. Great informative article. Lots to consider here for newer growers. Hello, I don’t have a comment, but I do have a question if you don’t mind .I’m from Alabama and I wanted to know if your company sends products to Alabama, thank you. We certainly do. All 50 states! Covers all bases great read to have before diving in. Running copper chem dream catcher calico queen chem 34 and bodega bubblegum with a buddy cant wait to see everything unfold and see what each pack has to offer! White master kush x stardawg and santa muerte x stardawg both have been my favorite strains to grow from GPS. Amazing genetics hands down. oh my ! chem 34, That was Famine x Stardawg right? really wish i didn’t miss out on those when they were available . But I guess I cant have them all. Where can you buy White master kush x stardawg and santa muerte x stardawg? I don’t see them listed anywhere. How much did you like the copper chem? I’m looking for another strain that’s the best tasting! F2 ‘s sound like a great idea, best of luck . Please keep us informed. They’ll be doing there thing soon narrowing down the boys and supporting the girls letting em get big big under the sun. Excellent dude, hope all go’s well. My favorite so far is the deputy!! Right out of the gate she has out grew everything that’s went against her kudos to greenpoint for this strain. Now western wizard is out i might have a new favorite strain we will see. Looking to get Copper Chem hope I can get some at the Dawg Days of Summer sale this seems like it should be a rocker. Will an outdoor seed grow just as well indoors? I can’t see why not as long as you perfect the conditions inside to resemble outside I can’t see any problems! One reason they could say it’s outdoors is bc of how big it gets! I was wondering if any strawberry phenos were being found in the deputy? Strawberry sounds very interesting indeed what was the harvest weight like was it a good yeilder? 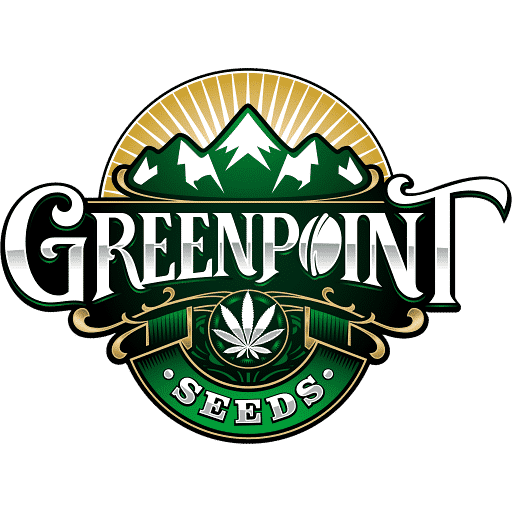 Every greenpoint seed I’ve popped has never been a disappointment they thrive outdoors cannot wait for harvest of dream catcher, calico queen, copper chem, bodega bubblegum , and chem 34. I’m growing the Bodega bubblegum outdoors as well, I got 6 girls from a pack, all very similar. They are few weeks into flower now. They all smell very sugary sweet, remind me a lot of the gum that came with packs of baseball cards when i was younger. Sorry didn’t see your reply til now, I’m also running Dream Catcher (blue dream x stardawg) and Calico Queen (sfv og x stardawg). The Bodegas did stretch a bit, but not nearly as much as the others. 4 Girls , all different but some degree of berry in each. my favorite is very sweet , smells like that Boo Berry cereal. To be honest I want extra packs of all his gear! That stardawg male must be one hell of a stud! I’d love to see pics of it! I tried googling and found some star dawn female pics but could locate a male or even less gu’s male! Love gps. Bandit breath may be my next if no info on pebble pusher or wedding cakex stardawg for my next indoor. Will keep checking forum.